Mr. Surendra Kumar Jaiswal, President HRANI & UPHRA and Vice President FHRAI in his speech apprised that hoteliers are putting their best efforts to successfully integrate eco-friendly practices into their operations and are finding ways to focus on careful stewardship of their resources. He pointed out that efforts such as waste water treatment through recycle and re-use, rain water harvesting and several other measures are being put to use by many hotels which feel that it is their onus to use natural resources sustainably. Speaking on behalf of small scale hotels, Mr. Surendra Kumar Jaiswal, President HRANI & UPHRA and Vice President FHRAI said, "The association represents the entire industry which includes big as well as small hotels. These are subjected to water charge, sewerage charge etc., having to install expensive machinery and treatment systems can be an added burden on them." He further stated that the Hospitality industry has been doing its bit in terms of sustainable operations in hotels. He said that many hotels have started branding themselves as 'Green Hotels'. Sharing his far-sighted vision rooted in the scriptures of the Vedas, the Chief Guest Sh. D.P. Singh Hon'ble Former Judge, Allahabad High Court, & Chairman UPSWMMC, said that the importance of preserving the Environment for future generations is crucial. The unusual rise in pollution, contamination of majority of our river bodies and various cases of pollution which result in deaths is alarming. He apprise delegates who came to attend the conclave from all over northern India, especially Uttar Pradesh, that the responsibility of preserving lies in our hands because we are accountable for the degradation of Mother Earth. 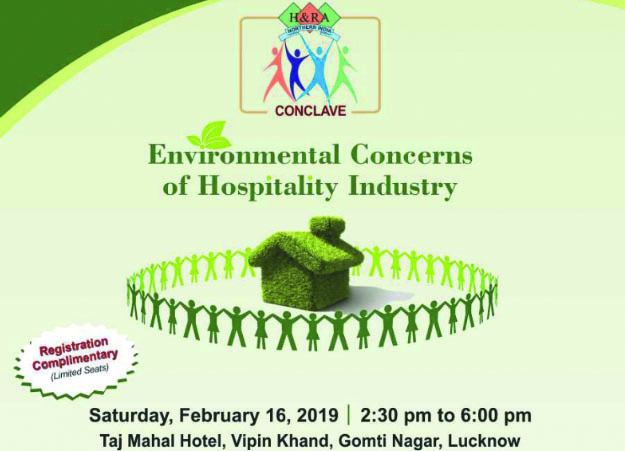 The Department of Urban Development, Uttar Pradesh, has curated a Guide for Waste Management in Hospitality Industry which was launched at the conclave. The guide is a comprehensive text book that will be a ready reckoner for entire Hotel sector. Hon'ble Justice also stated, "Hotels are trusties for the next generation, they need to maintain credibility in their operational ethics." While addressing the gathering, he further opined that setting up STP and ETP plants should be mandatory for large scale hotels. Acknowledging a presentation made by BioD Energy India Ltd during the convention, the hon'ble Justice stated that the initiative is a commendable one. A detailed and informative presentation on waste management was also given by Mr. Anurag Yadav, Secretary, Urban Development, UP. Knowledge drive presentation conducted by Mr. Dhruv Dhingra from BioD Energy India on re-purposing used cooking oil into bio-diesel received the audiences' attention and appreciation. The initiative's objective is to create sustainable solutions for a greener environment and a healthier society. The knowledge drive highlighted how harmful consuming used cooking oil is to a consumer's health and how BioD Energy India offers innovative answers for managing your used cooking oil. The company supports the Central Governments idea of producing an indigenous clean Bio Fuel, along with reducing the nations dependency from imported diesel and hence improving India's energy security. The conclave ended with a vote of thanks by Mr. Garish Oberoi, Treasurer HRANI & General Secretary UPHRA and a resounding 'Vande Mataram'. Launch of Guide for Waste Management in Hospitality Industry by Sh. D. P. Singh, Hon'ble Former Judge, Allahabad High Court, & Chairman UPSWMMC. Immediate punitive action being taken by UPSWMMC has been put off by 31st March 2019. Hotels have been asked to cooperate and comply with the rules. Knowledge drive session conducted by BioD Energy India on re-purposing used cooking oil into bio-diesel received the audiences' attention and appreciation.